Brand the Change unpacks the brand building process in practical steps. 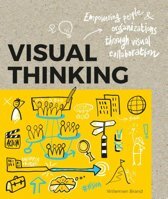 Whether you are building an innovative new product, creating a service for good, spreading a new idea, or positioning yourself as a leader in your field, thinking like a brand strategist will help you to create a clear, compelling offer, develop unique brand experiences and ultimately attract and convert the right audiences. 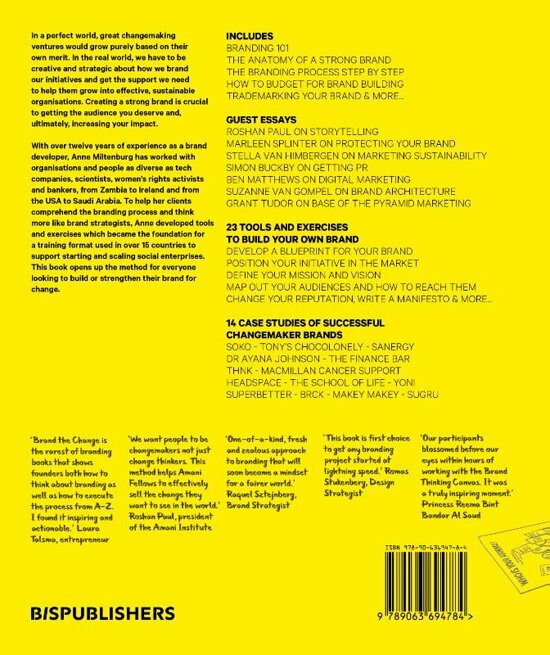 The book offers the tools and exercises to build your own brand and offers a rich array of tips from trademarking to digital marketing, and inspires with case studies of successful change-making brands. The content has been developed based on years of experience in building brands, conversations with dozens of changemakers, understanding their branding challenges and required knowledge and skills, and extensive content testing with hundreds of workshop participants. 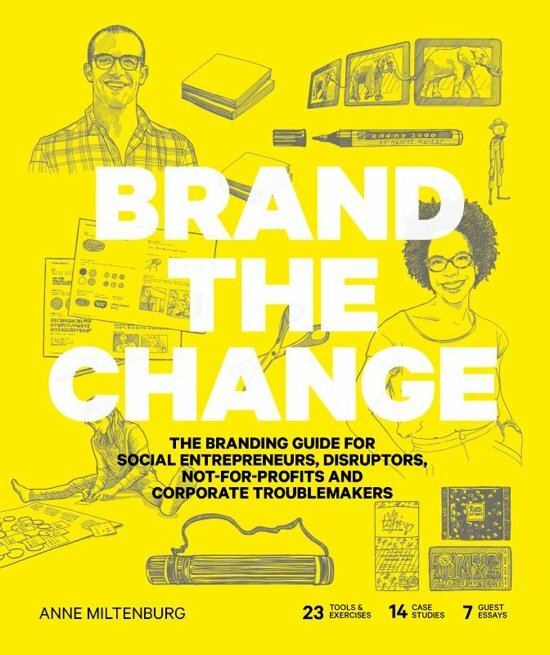 It contains 23 tools and exercises, 14 case studies from change-making organisations across the world and 7 guest essays from experts.